Kids and families are stocking up with everything from pens and pencils to calculators and smartphones for the school year – now it’s time for photographers to get the right tools to succeed! 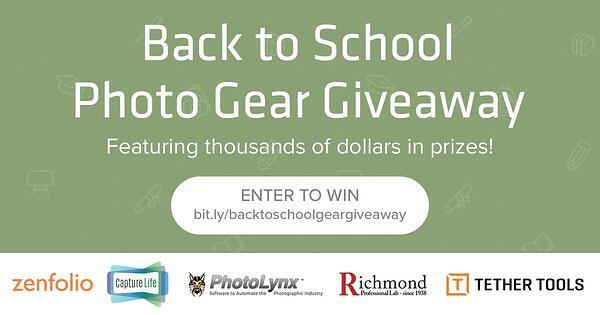 CaptureLife is excited to team up with other industry leading partners in the big Back to School Giveaway ­­– bringing you the new tools volume photographers need to be successful in the coming year. To enter login with your Facebook account or email address then complete actions for additional entries! 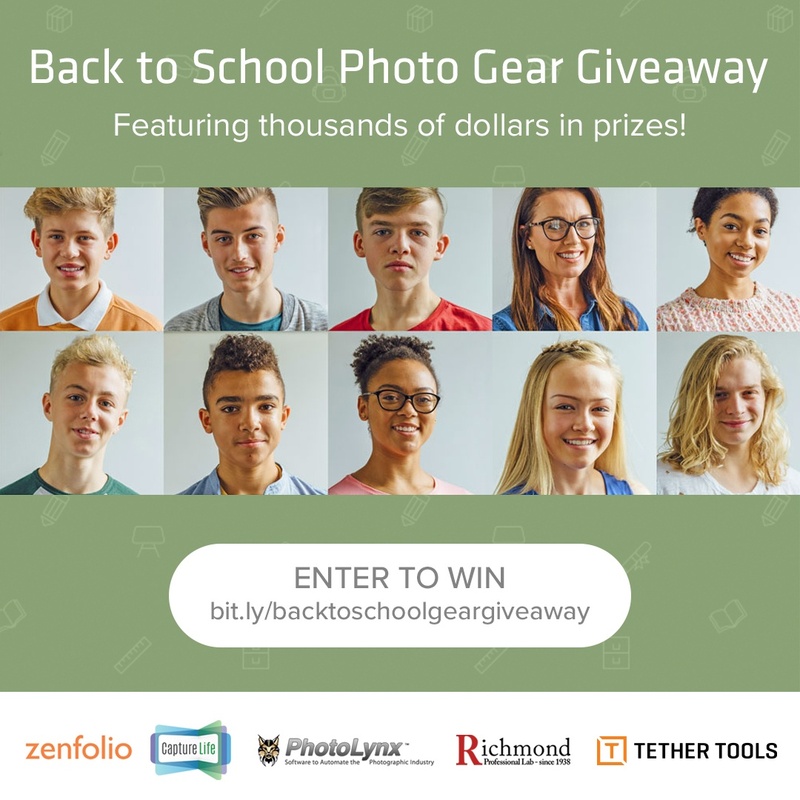 Featuring 500 CaptureLife credits and on-boarding worth $1,500 to help you satisfy today’s savvy mobile and socially connected consumer, as well as valuable tools and gear from PhotoLynx, Richmond Professional Lab, Tether Tools, and Zenfolio. It’s a total package worth nearly $4,000. Don’t delay! Get started with the new tools you need to succeed!